Everyone wants to pet a dog, but how many of you want to actually spend time with them? Rather, how many of you can spend time? In today’s busy lives of all the human beings accumulated with school, jobs, colleges, parties; one doesn’t get enough time to be with their pets. 1. Separation Anxiety: The result of being separated from their parents for a long period of time leads to severe anxiety issues in dogs. They feel lonely and wait to feel the presence of their owners around them. Your furry pal doesn’t know when you are coming back which leads to anxiety buildup within him. 2. 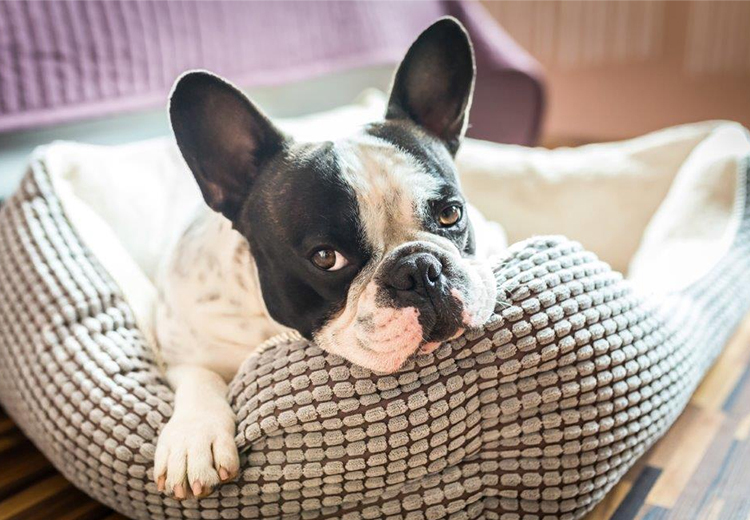 Lack of stimulation: Physically as well as mentally, if your doggie is not active and fit, then it is an obvious thing that he’ll face troubles. Stimulation enhances the thinking ability and improves the agility of the dogs. Lacking in providing proper boost to their brain and body, the dog parents will suffer with bad behavior problems depicted by their dogs. 3. Boredom: Think if you are left alone without electricity and means of communication with anyone, you’ll definitely get irritated in a few hours. Similarly, dogs also get bored if got nothing to do. They start behaving oddly and in irritated way. They might defecate or urinate in the house instead of litter boxes. 4. Lack of Socialization: Dogs need to socialize with other pups and canines as well as with other humans. This socialization may teach them various activities and manners. If left home alone, there won’t be any means that they’ll love the company of anyone else. However, to avoid your dog to suffer from any behavioral troubles especially, separation anxiety; here are a few things you can do. • Don’t leave the pooches continuously alone for long hours. • Doggie day care centers are a perfect way to make your furry friend socialize as well as have a good daytime while you are at your office. • Keep a bunch of toys and puzzle games. This will not let your doggie be bored or left alone. He will engage his mind in puzzle games which will take up a few hours of his day and stimulate his mental health as well. Playing games be it physically or mentally – it will make them tired and your friend can also take a sweet nap after that. • Provide your dog with food, water and treats while you are away so they can have a good meal and rest. • Train your doggie well enough to not let separation anxiety affect him. It will take time but eventually he will learn it. • If possible, take short office breaks to visit your pooch and give him a surprise. • Litter training should be carried out properly and professionally to avoid any accidents from occurring at home. • Leave a soft music playing in the background before leaving for work. You can also play dog-friendly videos o the TV and he can enjoy some entertainment while you are away.